Odysseus. Robinson Crusoe. Harry Potter. What do these memorable characters have in common? Why do we turn to certain stories again and again? And what impact have they made on world history? These 24 eye-opening lectures give fresh insight into some of the greatest heroes in world literature, from warriors such as Beowulf and Odysseus to unexpected heroes such as Uncle Tom and Sancho Panza. Professor Shippey gives you an inside glimpse into the writer's process. Learn how authors "write into the gap" to flesh out-or, in some cases, reimagine altogether-old stories, making them new for new readerships with different values. By examining what makes these heroes such compelling characters, you'll see how they provide a window to better understand ourselves. From the beginnings of world literature through today's bestsellers, look at what makes characters successful-and how they reflect our changing cultural mores. For instance, after the horrors of global war in the 20th century, the world was waiting for a hero like Frodo Baggins, J.R.R. Tolkien's meek hobbit hero, someone called to duty rather than born strong and fearless. You'll also examine ways that great heroes have changed the course of history, defining nations and redefining our sense of self and our relationships. From the mythical journey of Aeneas to Jane Austen's country dances, you'll survey a wealth of memorable stories and consider why such heroes were necessary-and how they continue to influence our lives today. First, let me say that the professor is a very entertaining speaker, easy to listen to, with a pleasant voice. (He could easily be Gandalf or Dumbledore, I think.) Each segment is about 30 minutes long, so they never drag, and he spends some time recapping story lines and pivotal scenes for those who aren't familiar with the characters. How effectively that works for someone truly ignorant of them I can't say, as I knew all of them, and so will many listeners who have read the Westernized classics. 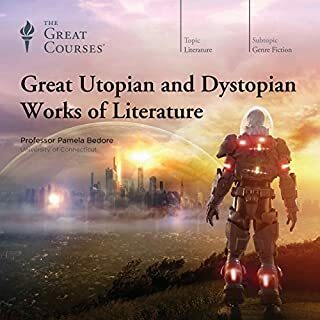 This is basically a survey of Western Lit through it's memorable characters, with the lecturer examining why each one has so captured our imaginations and, in some cases, survived for centuries. 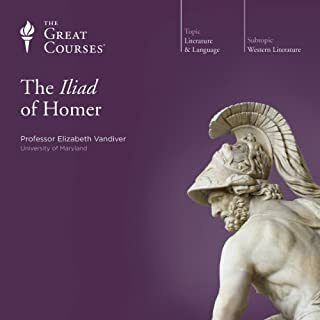 In the course of the lectures he often mentions other books that have taken off from these classics, so the listener has a good chance of finding some new ideas for their To-Be-Read pile. (He doesn't scorn to mention television, movies, or comics, either.) Another plus is that each character is given a separate chapter in the recording, so it's easy to jump around and pick out your favorites for a repeat listen. I recommend this survey. If you're an avid classic reader you might not learn too much that is new, but you'll probably pick up a few interesting tidbits, and I suspect you'll enjoy revisiting so many fascinating characters, as I did. I have done so several times! 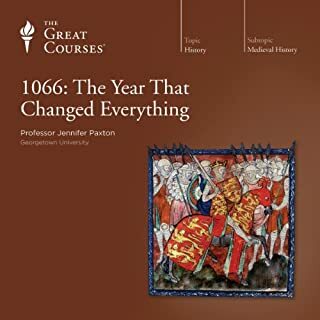 This is the Great Courses lecture I have most enjoyed listening to (and I have listened to quite a few). Professor Shippey's grasp of his subject is excellent: He presents characters when first found in literature, placing them in the framework of that time, then traces their reincarnations as societies and mores change over time. It's wonderful, sometimes surprising, to find a mythic figure, or even one from the middle ages, so alive and well, in 21st century literature! This course cites books and movies new within the past few years. Kudos to Professor Shippey: Not only has he thought long upon his subjects; he continues to consider them as they may appear to us today. What about Professor Thomas A. Shippey’s performance did you like? I thoroughly enjoyed Shippey's presentation. 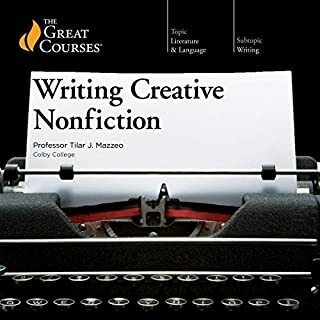 I was hesitant, based on the audio sample, to order this course (the sample does NOT do Shippey justice), but I am SO glad I did. Listening was actually quite pleasurable, as Shippey is talking to his audience, rather than merely reading through his material. He is engaging, never boring, to listen to. His fine sense of humor greatly added to my enjoyment of this course. I've never listened to a "Great Courses" on Audible that I didn't find at the very least interesting. This particular set of lectures surprised me a lot! And I loved it! I was expecting Ulysses and other heroes of classical literature. Not so much was I considering the inclusion of Sherlock Holmes, Frodo Baggins, James Bond and, for heaven's sake, Lizbet Salandar of "Dragon Tattoo" fame! Yet here they are, and Professor Shippey makes an enthusiastic and convincing case for including them all and more. These heroes and heroines (and Shippey includes an impressive number of female examples) are skillfully contrasted and connected as well as put in the context of their classical origins, their own times, and right now. Each discussion revolves around the nature of the example: what makes him/her a hero? How is she/he like and unlike other heroes? Why has he/she stood the test of time and changing tastes and values? Taking us from less-likely examples such as Elizabeth Bennett and Uncle Tom (don't scoff - listen to what he has to say! ) up to Harry Potter and Katniss Everdeen, the content and presentation of this material is timely, fascinating, enlightening, and inspiring. There's something for everyone here - it's time excellently spent! Where does Heroes and Legends rank among all the audiobooks you’ve listened to so far? Top! Such an interesting mix of characters and Professor Shippey is a wonderful professor. You couldn't ask for me in a lecture series. Have you listened to any of Professor Thomas A. Shippey’s other performances before? How does this one compare? Who was the most memorable character of Heroes and Legends and why? Fun Look at Some Most Influential Characters. The Great Clurses is a series made up of lectures by college professors. This is both good and bad in the sense that there is some truly interesting material but the presenters are not always the best voices to listen to. 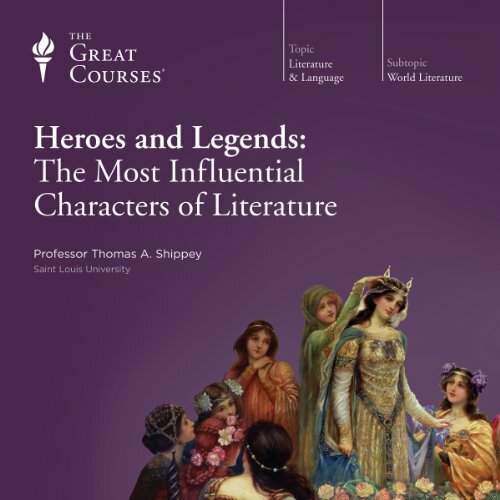 Heroes and Legends by Shippey re-introduces the listener to characters that we have always heard about and may know but perhaps never thought about enough; especially in the way they have influenced a lot of the stories we love and evn the culture we live in. Professor Shipey is certainly knowledgeable an passionate about this subject. Aside from being a scholar of languages he has been active in contemporary media even being a consultant on the movie adaptations of Lord of the Ring. The book not only deals with classic figured but comes right up to the present day with characters such as Lisbeth Salander (from the Girl With the Dragon Tattoo) and Harry Potter. It is a series of 24 lectures and easy to listen to except for the fact that Shipey does not have the best voice.He's not reading, he's lecturing which is actually good but he does stumble, stutter and retrace. Still it doesn't detract too much. But listen to the sample to get an idea of what I'm talking about before purchasing. I am having such a great time listening to this. I actually stopped JUST to write this review and say anyone who is interested in learning how to build a great unforgettable character needs to listen to this! And trust me on this, you will have a great time while you learn! He is all my favorite college professors rolled into one! If you could sum up Heroes and Legends in three words, what would they be? What other book might you compare Heroes and Legends to and why? More like chapter but Don Quixote. If you could rename Heroes and Legends, what would you call it? I am in awe of this fascinating teacher! And when he is bad Professor Shippey is cringingly politically correct. 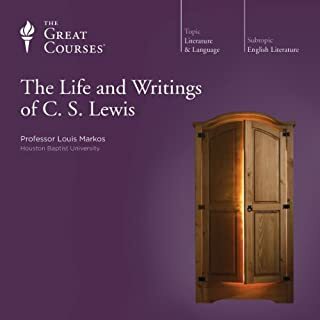 The standout lectures deal with Frodo Baggins, Odysseus, Aeneas, Beowulf, Thor, Robin Hood, Don Quixote, Natty Bumpo, Uncle Tom—the professor brilliantly puts that story in its proper Christian context—Sherlock Holmes (spectacular), Dracula, Mowgli—a lecture made even better by the professor’s childhood reminiscences—Winston Smith and James Bond. We get insights such as this: there were only two truly heroic ages in Western history—“heroic” being understood as a time of no codified laws, when might really was right and a hero was someone who used his might in the service of good. And there are those little facts that answer questions you’ve always had at the back of your mind: “yeoman” originally meant “young man”—the young men who were handy with bows, arrows and swords and essential to any local lord who wanted to be taken seriously. But more importantly, we get answers to the essential question that is at the heart of all these talks: why certain characters have had such a long and/or widespread appeal to readers and moviegoers. The lecture on James Bond is priceless because it is given by someone who actually experienced the advent of James Bond on the bookstalls of England—a post-war England still living on ration cards and longing for elegance and adventure. Professor Shippey can also give the same perspective on Frodo Baggins, explaining his particular appeal within the context of Tolkien’s World War I front line experience, England’s post-World War II mood, and the need for a new kind of hero. But the best of the lot is the talk on Winston Smith. Professor Shippey understands that Stalinism was a bad thing and our propensity for that particular way of doing things is an ever-present danger. In itself that is refreshing, but there’s so much more. Just listen. So, out of 24 lectures 15 are great. The rest are predictable. The Wife of Bath is seen through they eyes of 21st Century Feminism, not late 14th Century Catholicism—which were the eyes through which Geoffrey Chaucer saw her. Robinson Crusoe devolves into a critique of colonialism (whether that’s true or not I can’t say; it’s one of those Classics I’ve never read). Huckleberry Finn is presented as “the free spirit of America”. While correct as far as it goes, that spirit never critiqued. Yes, Huck comes to understand that slavery is wrong and Jim is just as much—if not more—of a man as he is. And yes, Huck is a hero for thinking beyond the collective mental horizon of his time and place. But that doesn’t mean—as the professor seems to imply—that doing so is always and inevitably a good thing. I skipped the lecture on “New-Style Princesses” because, given Shippey’s take on Elizabeth Bennett and the Wife of Bath, I pretty much knew what to expect. Close-minded? I don’t know. Having a teenage daughter who has to deal with girls raised on those "empowered” princesses has opened my mind to their darker side. And finally, the breezy way in which the professor talks of the Harry Potter saga as a more tolerant narrative for a more tolerant post-Christian world would have taken my breath away—if it weren’t so predictable. Over the years I’ve noticed we (you, me, those guys over there) have a tendency to find in art the guidance we should be seeking through faith. That’s completely understandable, living as we do in an age where art and philosophy have consciously divorced themselves from the religious spark that gave them life in the first place. But that doesn’t mean it’s right or wise, or that the popularity of a series of books and movies makes it right or wise. The professor himself is an engaging presenter of his ideas with a soft Scottish accent that’s a pleasure to listen to. The only other flaw is in the production. We could do without the roll of timpani, the swell of strings and the recorded applause that begins every lecture, as well as the same applause that ends them. It made me cringe every time. Great overview over classic ideas of "heroes"
Would you consider the audio edition of Heroes and Legends to be better than the print version? Since I do not know the printed version of the course I cannot say much about such a comparison. 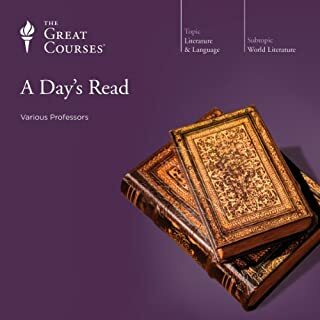 Yet, I would think that for a printed version there's not enough background information (that one could skip over if not interested) in the lectures, which seem to be tailored just right for listening experiences. What I really enjoyed was the open approach to how heroes, legends and reception of them change over time. This could have even be stretched more, the definition of a hero being an "archetypal muscle muppet", that is repeated a lot, seems too limited to me. I cannot imagine people from 2000 years ago being that hollywood-cliche-addicted. You clearly get the impression of a tutor loving his topic. Sure, Mr. Shippey's pronunciation of "Don Quixote" is more than disturbing (if I, being German, would pronounce American heroes like "Darth Vader" the way they are written, the result would be, as Americans might "hear" it, something like "that daddy"). On a side note: I did have to speed up the playback, because his many pauses between words, more often than not interrupting the line of thoughts, made following Mr. Shippey a bit difficult at times. If you love literature and want to get some new ideas about how to understand older (and even new) stories, Mr. Shippeys course is a wonderful overview over different types of texts, story telling, dependencies of characters on their historic background, expectations and fears of audience. It does help to KNOW the texts, but I think that Mr. Shippey has chosen a good canon of literature work that most listeners should be familiar enough with to have their own ideas of what makes the "hero character" a "hero" - or, in some cases, NOT. I once attended an evening lecture "On the Problem of Evil in Science Fiction". He was visiting my Alma mater at the time. It was a great and memorable lecture some 14 years ago. Seems like last night when I think about it. He's that engaging. He revisits some of those themes from time to time in this series of lectures, and it was a joy to hear his enthusiastic voice holding forth on a subject he so dearly loves. He starts out with Tolkien and an unlikely hero, before taking up the Iliad and other tales from antiquity explaining the cultural surroundings and happenings that gave birth to the different heroes and heroines through the ages of western civilization. He shows how they relate to their times, how the times were changing or had changed as these stories were told. How the stories themselves changed the culture. He gives you insight into the stories that make you want to read old favorites again, and gets you to appreciate an old classic you haven't read enough to go find a copy at the library and read all over again. Yes! Shippey is engaging. He's lecturing is more like story telling really. What other book might you compare Heroes and Legends to, and why? Other than the other listens from 'The Great Lectures', this lecture reminds me of the documentaries from the LoftR DVD set. Have you listened to any of Professor Thomas A. Shippey’s other performances? How does this one compare? Yes, and I did - almost. Shippey is engaging. I especially appreciated his points on how the heroes tell us what kind of society tells their stories. This was an excellent way to frame a history of literature overview. Good for literature newbs, but also likely informative for those who want a bit of reading inspiration. By far, one the best pieces I have ever been exposed to in the media and literature. Clear, to the point, succinct, engaging and insightful. I salute the author for sharing his experience and wisdom. Great Lecturer and great survey of heroes. Yes, it's great to get a reliable and extensive overview of such huge subject. What was one of the most memorable moments of Heroes and Legends? Don Quixote and Sancho Panza turning out to be so significant. 1. Tom Shippey talks Tolkien, a combination made in Valinor. Having seen him give two talks in person a film would be justified, tagline: "Best Lecturer you've ever seen!" I enjoyed the Prof's selection of heroes, and especially the insights he gave into how legends fit the society in which they are created. He inspired me to go back to The Odyssey, which I have put down too many times. It's surprising how readable the language is, once you understand the theme of the story. Would you listen to Heroes and Legends again? Why? Professor Shippey offers great insights into the evolution of heros and villains in literature. The variety of characters and the changing attitudes that shaped them over the centuries. What does Professor Thomas A. Shippey bring to the story that you wouldn’t experience if you had only read the book? He tells the story, as opposed to me reading it. The book is broken into lectures of one hour duration, perfect for walking or exercise sessions.